The Swede-O Strap Lok combines the exclusive Ankle Lok lacing system with non-stretch nylon figure-eight straps and a heavy-duty full top strap. 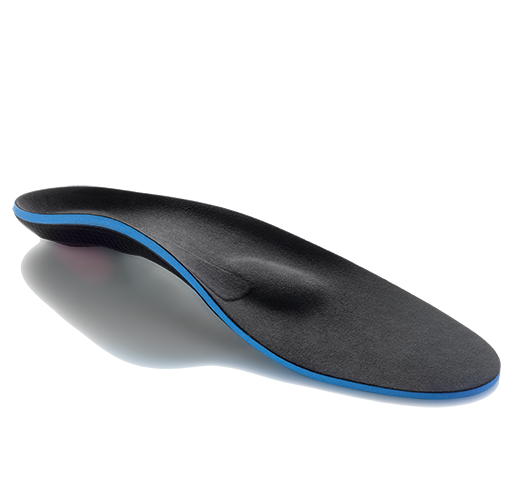 The brace features a lacing system with offset panel that traps the laces in between the inner and outer panel, and a seamless arch for comfort. The figure-eight straps simulate a professional taping procedure to lock the ankle in a protected position. The top elastic closure strap locks the figure-eight straps in position for a secure fit. Exclusive Ankle Lok offset panel traps the laces between the inner and outer flap to hold the laces tighter longer compared to competitor’s braces. Closed spaced eyelets concentrate the holding power where it's needed most creating the most effective heel lock. Ballistic nylon construction is durable, thin and lightweight. Full elastic back for comfort. Six sizes - See sizing chart for fit/measurement help. 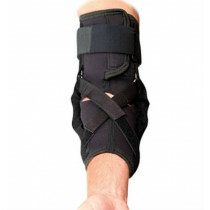 All purpose sports injury protection. Glad we found the StrapLok in white. Our daughter wears this Swede-o ankle brace and says it's supportive and keeps her ankle supported while she plays softball. Had to exchange for the next larger size because I have a wide foot. 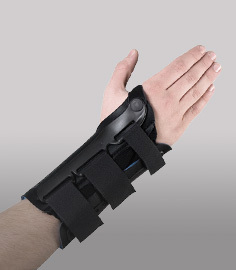 Otherwise I'd give the brace 5 stars. Customer service was very helpful. Thank you for sending out our order quickly - other places did not have the item in stock to ship out the same day to us. Thank you. Arrived in time Review by Brett G.
The brace fits my narrow ankle perfectly. My ankle doesn't twist and roll over liked it did in the past when I would sprain my ankles.  Swede-O believes that the best way for you to select and purchase an Swede-O product is at one of its authorized online stores of which DME-Direct is one. Only in these stores can you be sure to find the latest Swede-O collection and ensure you are getting a genuine Swede-O product with the manufacturer's full warranty. Swede-O therefore recommends that you do not purchase an Active item through any website, unless it is an authorized Swede-O dealer. We are a Swede-O Authorized Dealer and can assure you a safe and pleasant shopping experience here at our website as if you were at our wholesale distribution premises in Valencia, California. Some non-authorized sites sell counterfeit, second-hand merchandise, and/or products containing old fabrics, glues, and resins that do not perform as intended, and are therefore, not eligible for care under the Swede-O warranty. Others do not offer the original Swede-O warranty, nor do they offer any after-sales service of any kind. Swede-O takes great care to ensure that all Swede-O authorized dealers offer you the very best products and service. Please take advantage of the peace of mind that only they can offer to Swede-O purchasers.